It was the first date I ever went on and I wasn’t going to get caught unprepared. I filled the tank with gas, I made sure I had plenty of cash, I knew exactly how to get from my date’s house to the theater, I checked the movie show times, and I wore my coolest sweater. I was ready for every eventuality—except the glass wall. The glass wall divided the ticket area from the lobby, and as I purchased the tickets, my date walked around the wall, through the doors, into the lobby, and back over next to me. She walked thirty feet but stood only five feet away behind the glass. I could see her perfectly. As I put the change in my wallet, I looked up, smiled, and without seeing the wall, walked straight toward her. Up to this point, it had all gone so well. Up to this point, I was still living under the illusion that I was pretty cool. When I think of it, I’m still amazed at how quickly an illusion can be utterly annihilated. Let me give you the play by play: First contact was nose to glass. Next, my nose signaled my brain to commence emergency nose rescue sequence (ENRS) which involves wildly jerking my head back, instantly adopting an uncool panicky facial expression, increasing the flow of tears to the eyes, and letting out a puppy-like yelp (all directly in front of my date, mind you). Finally, my knees and chest hit the glass causing a giant Japanese gong-like noise alerting the entire lobby of movie-goers. The aftermath was worse. As the entire crowd turned to look toward the source of the yelp/gong, they witnessed a scene that told them exactly what had happened. There on the glass wall at the exact height of my nose stood a single wet spot. And there, next to the wet spot, I stood with tear filled eyes holding my nose. Every picture tells a story. In some ways, buying wine can be like that date. You can try to account for every eventuality—read reviews, try other wines from the same label, get a recommendation from a friend or the store clerk–and still end up purchasing the wine equivalent of a glass face-plant. Try this week’s recommendation. It’s much more sophisticated than I was. Concannon 2009, Central Coast Riesling ($9.99): At ten bucks this wine doesn’t act like a cheap date. It’s just a little sweet but deeply complex—in a “this evening could end up fun” kind of way. 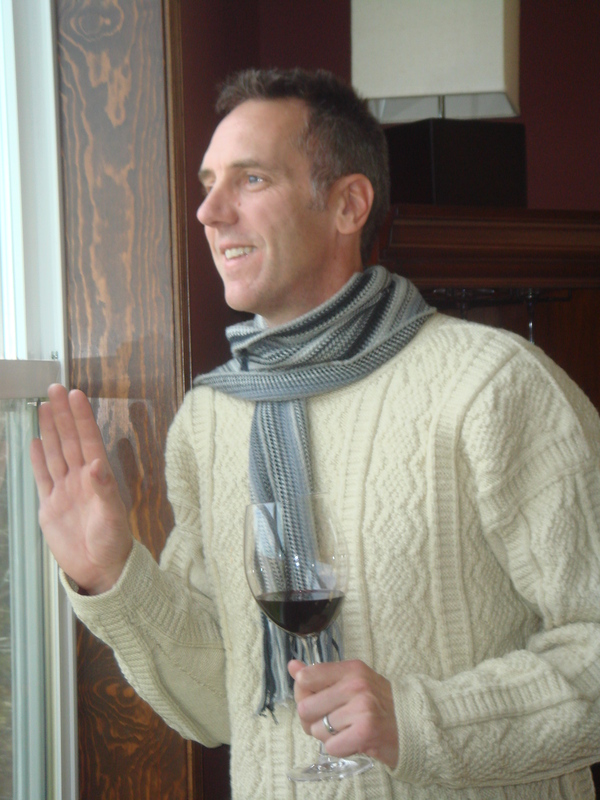 You are currently browsing the The Wine Rogue blog archives for November, 2010.